Perhaps it’s easier to start off this Instant Family review in “could have” terms. The comedy could have been treacly disaster. It also could have provoked angry responses about why, in 2018, we need to see the story of yet another affluent white couple caring for underprivileged kids. 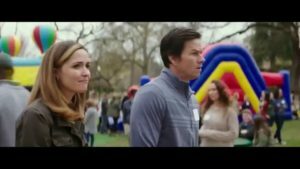 It could have led to a career footnote for stars Mark Wahlberg and Rose Byrne. The remarkable movie, however, does not warrant any of the above complaints. This is a pure holiday feel-gooder that not only has its heart in the right place, but its brains as well. It’s funny too. Wahlberg and Byrne portray Pete and Ellie, the happily married suburbanites who’d rather renovate and flip houses than do the parental thing. This isn’t a can’t-get-pregnant issue. They’re just not interested. What about fostering a child that desperately needs a stable home? “People who take in foster kids are really special,” Pete replies in exasperation, “the people who volunteer when it’s not a holiday. We don’t even volunteer on a holiday!” Nonetheless, they decide to toe-dip into new waters. After all, if they can improve a house, surely they can improve the life of a child. This marks both the beginning and end of the heavy-handed metaphors. At a prospective foster parent fair (where parents and kids can be matched quickly and in person), they encounter a teen named Lizzie (Isabela Moner). She gives them just enough attitude to pique their interest. They inform the agency liaisons (Tig Notaro and Octavia Spencer) of their choice, only to learn that Lizzie also has an adorable younger brother and sister in the system. Their biological dad is out of the picture; their mother is languishing in jail. Much to their own surprise, Pete and Ellie — the pair reluctant to even look at prospective fosters online because it’s too sad — are suddenly a family of five. Director and co-writer Sean Anders used his own life experience as the source for the material . . . not that a “based on a true story” tag represents quality. I note this because he has the first-hand knowledge to keep the narrative grounded in honesty. The kids don’t just act up because they’re unruly and unstructured. They do it in specific ways that jibe with their circumstances. Following a honeymoon period, for example, the younger siblings throw a fit at the kitchen table. They don’t like the food. Lizzie, in turn, tries to out-mother Ellie. A minor, well-meaning misunderstanding escalates into disaster. For every step forward, there are two steps back. In a tender moment, Ellie gives Lizzie a brush to get the knots out of her hair. She thinks it’s a breakthrough moment — and in 99 percent of other movies, it would be. But the next morning, the brush is in the toilet. Ellie fumes about the cold reaction, noting to her husband that she wrote a cute post-it note along with the brush. The smart Instant Family screenplay is full of those self-aware snapshots. Indeed, multiple times Pete and Ellie stop and second-guess their decisions. They worry about the “white guilt” factor. They often turn to Notaro and Spencer, who are neither generous Earth mothers nor uptight villains. The women are simply two of the many characters that tell it like it is. Parenthood, after all, isn’t a linear journey to domestic bliss. Much of the credit here goes to Wahlberg and Byrne, an excellent comedy tag-team with wit, relatability and gumption to spare. Rest assured that Byrne is not the supportive, second-tiered wife character, a la Linda Cardellini in the Daddy’s Home movies. She can dish out the barbs and the love with just as much strength as her well-muscled co-star. (Is there a contract stipulation that Wahlberg’s wardrobe must consist solely of tight T-shirts?) They are confidants that never turn on each other, even secretly admitting early on that they feel like they’re babysitting other people’s kids instead of caring for their own. These two should work together more often. But maybe leave out the random Joan Cusack cameo. 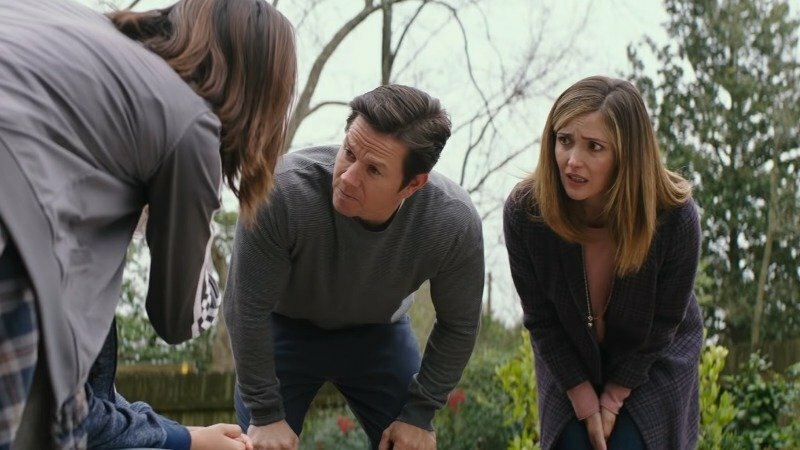 ‘Tis the season for happy endings, of course, and the one in Instant Family is a humdinger. Still, even the Grinch would be moved by the outpouring of emotion on the screen, and that’s because every shed tear is well-earned. Fantastic Beasts: The Crimes of Grindelwald may have the wizards, but Instant Family brings the unadulterated warm-and-fuzzy magic. « “Enthralling” Heist Thriller ‘Widows’ Gets Four Stars: Read the Review!